Cyberfox for Windows XP - webbrowser was developed on the basis of Mozilla, but differs from it in increased reliability and speed. Focused on interaction with modern processors, almost instantly gives a response. Shows high performance in the surfing process. System resources here are used more intelligently. The difference becomes noticeable on 64-bit OS. External changes are imperceptible: graphic design is more dark, besides, there is no corporate logo. Otherwise, everything is identical, so you do not have to get used to the new interface for a long time. 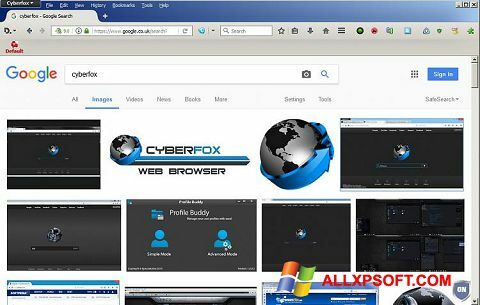 You can free download Cyberfox official latest version for Windows XP in English.